Save $300 on any 624 Mattress, plus get 2 free Pillows and a Sheet Set. Discount automatically applied. Easter deal! Save 20% on any Ecosa mattress. Apply coupon EASTER20 at checkout. Choosing a bed that's just right makes a vast difference in sleep quality. Many buyers misjudge mattress dimensions, and bring home one that's too large or too small. You may want a luxurious super king bed, but only a queen size will fit. To avoid bed blunders, use this guide to find mattress sizing and sleeping arrangement suggestions. Single bed dimensions are 92 centimetres wide by 188 centimetres long. 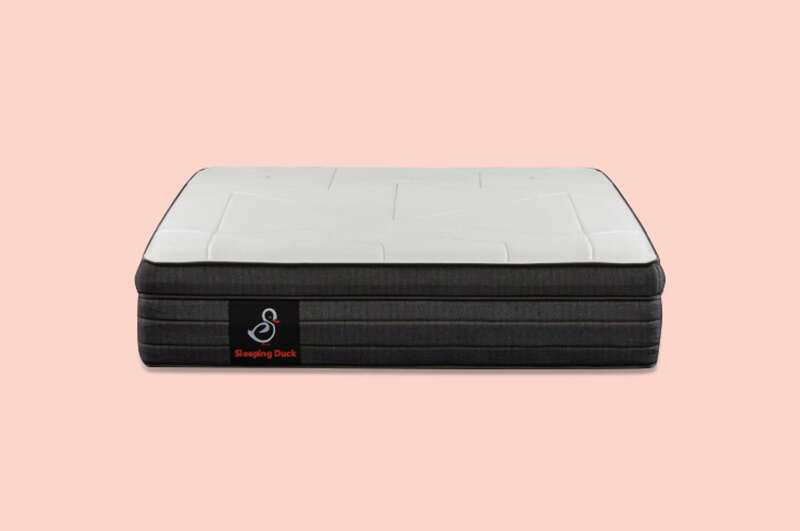 Also known as a "twin" mattress, this is the smallest mattress size besides a baby crib. 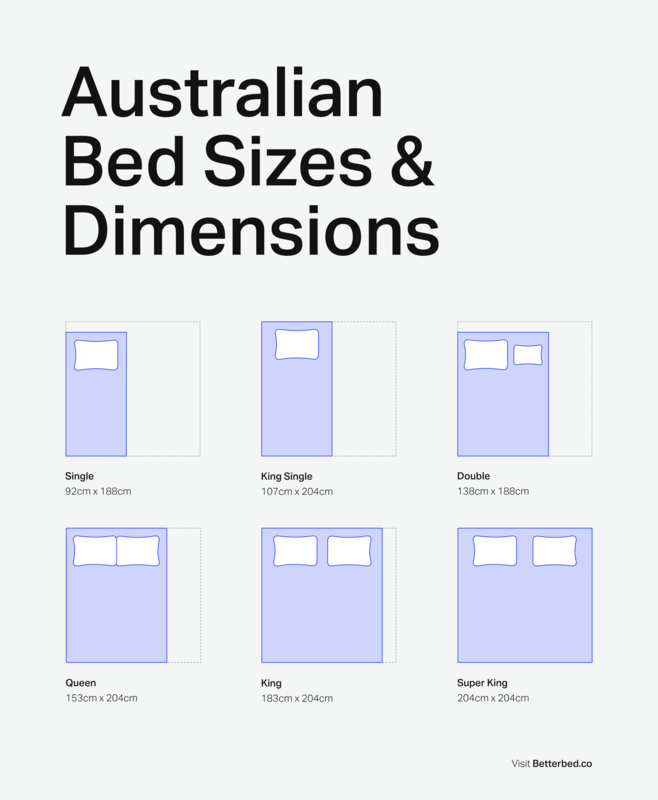 At 188 centimetres long, single beds are rarely comfortable enough for adults – measuring only 20 centimetres longer than the average Australian adult. A single size bed is ideal for young children who have outgrown their cribs or need freedom to move. It can work well for children until their early teenage years. Due to its size, a single mattress is also suitable for daybeds, bunkbeds, and smaller guest rooms. King single mattress dimensions are 107 centimetres by 204 centimetres - measuring 15 centimetres wider and 16 centimetres longer than a standard single bed. These additional centimetres can make a difference in comfort and sleep quality, particularly for taller children. Many single bed frames can fit a king single mattress, but make sure to measure your frame before buying. A king single bed is suitable for sleepers who need more length than a standard single. Mainly, for older children or those experiencing growth spurts. Another good place to put a king single bed is in a guest room – it makes visitors more comfortable without sacrificing space. That's why this size mattress is commonly used in university dormitories. Double bed dimensions are 138 centimetres by 188 centimetres, or 46 centimetres wider than a single size mattress. At 188 centimetres, this mattress is the same length as a single size bed and may be too short for some adults. However, the extra width gives solo sleepers room to stretch out. Sharing this mattress size with a partner would be difficult, as each sleeper gets just 69 centimetres of individual space – less than a single size bed. At 138 centimetres wide, a double size mattress is best for a solo sleeper. Two people may find it comfortable for a short period of time, but it would be cramped and difficult to sleep in certain positions. That's why this bed size is ideal for older children and guests. Children and teenagers grow quickly, and parents can choose a double bed over a single bed to prevent replacing mattresses. Guests may also be more comfortable on a double mattress, since it gives more room to sit, organise, and move. Queen mattress dimensions are 153 centimetres by 204 centimetres – 15 centimetres wider and 16 centimetres longer than a double bed. One of the most popular bed sizes, a queen mattress is spacious enough for two sleepers. This additional sleeping surface means a better sleep for tall individuals and partners. Yet, with approximately 77 centimetres of personal space, each adult has less room than they would on a single size mattress. A queen size bed is a good pick for solo sleepers who like a lot of room to snooze. It's longer than a double bed, so tall individuals can rest without hanging their feet off the bed. However, this mattress size also works for couples who need less sleeping space, or who want more floor space in the bedroom. King size bed dimensions are 183 centimetres by 204 centimetres, giving an additional 30 centimetres of space over a queen bed. Although a king mattress is the same length as a queen, the extra width makes all the difference for partners. It gives an optimum amount of personal space, without going overboard on a super king size. Plus, a king mattress has almost the same dimensions as two king single beds combined, so consider this a flexible option for a guest room. A king size bed is the best mattress for partners who want more sleeping space. Before buying this bed, use the mattress dimensions to gauge whether it fits in the room and through the doors. Consider any stairwells and sharp corners. When ordering a mattress online, it often comes compressed and shipped in a box. Yet, this is not always the case with in-store purchases. Remember to check with the mattress company or delivery service about any moving assistance. 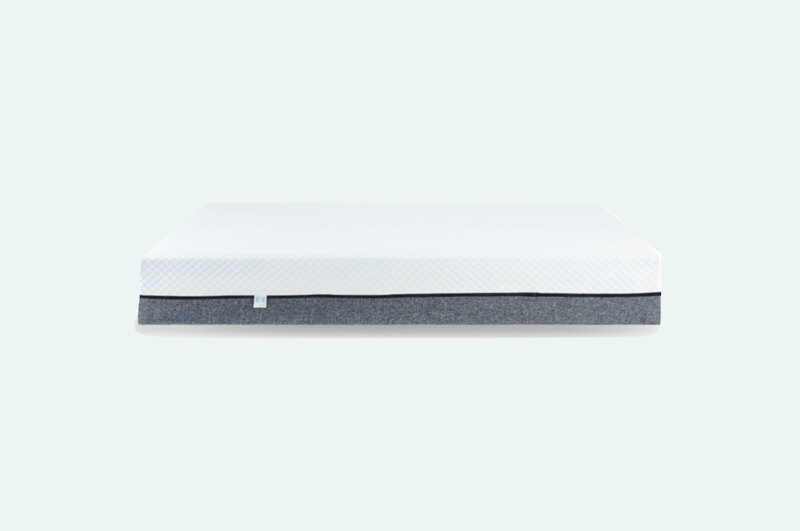 Super king mattress dimensions are 204 centimetres by 204 centimetres, making it the most spacious bed available. This size is 21 centimetres wider than a king size bed, and offers plenty of individual space for partners. The additional width gives the mattress a square shape – a unique look for larger bedrooms. Partners snoozing on a super king bed may not even notice the other is there, since each adult has 102 centimetres to themselves. A super king size bed is perfect for couples who want a luxurious amount of space. 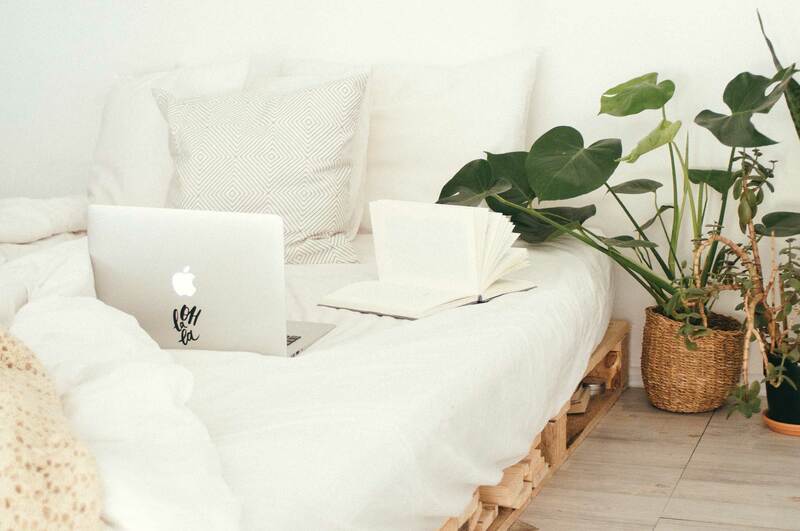 In a larger bedroom, it fills up the room and creates a cozy atmosphere. Even families with children may enjoy this bed, since there is enough sleeping room for one or two kids. However, this mattress size requires extra large bedding. Make sure to check what's available near you before saying yes to this spacious mattress. 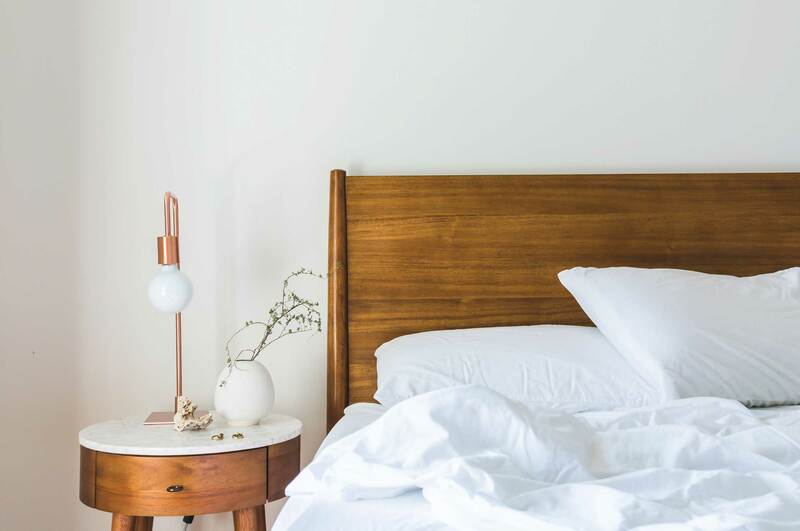 If you’re after a comfortable, supportive night’s sleep, a memory foam mattress could be right for you – here’s what to look for and some top picks. Sign up for our newsletter to stay in touch. You're in. We'll be in touch shortly.